Be the first to hear about their new releases and deals. Download the Booksprout app and search for Andrew Hess today! 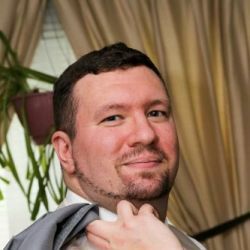 Andrew Hess is a resident of Long Island, New York and a Lindenhurst High School Alumni (graduating class of 2001) Having been a fan of writing creative writing and journalism, Andrew found himself with the desire to become an author while studying Psychology at SUNY New Paltz. His first book, Chamber of Souls, debuted in 2011 where he depicted the life of a broken man wallowing in self-pity. Using free verse poetry, he brought this character to life while he journeyed to find himself. Hess also found himself immersed in the world of mystery and thriller novels. His first Series, The Phoenix Blade, showcased a group of vigilante 20 year olds hired by the government to rid the country of those that have evaded justice. This fictional government conspiracy series currently has three books available and was awarded the Best Series of 2014 by Indie Author Books. Despite spending most of his life Lindenhurst, Andrew also spent five years living in the New Paltz and Poughkeepsie areas. His return trips helped inspire his second series, The Detective Ryan Series. Currently, there are two books in the action packed series that depicts the life of Detective Ali Ryan as she investigates a series of murders while struggling to keep her family together. Hess is also an avid blogger at The Writers Revolution (http://thewritersrevolution13.blogspot.com) and Between the Coverz (https://www.facebook.com/betweenthecoverz) where he promotes and interviews other authors, as well as reviewing books of all genres.